Firstly, I must apologise for being MIA this last month, a lot has been happening at home and work which has kept me on toes, in a good way! Since moving from the Visual Merchandising team to the Interior Design department there has been no break. Projects have been rolling in, which is exciting and daunting at the same time. We have just about finished designing the second Weylandts concept store (you can view photos of the first concept store here) which will be launching very soon in Bedfordview. So, if you are in and around the Joburg area… watch this space for launch dates! Also, some very exciting news, I will be moving into my new apartment on the first of May! Now, I have the excuse to redecorate and do some cool DIY’s and apartment tours…YAY! I am really looking forward to sharing any tips and tricks I come across in making your home a true reflection of your style. This past month has been a busy yet fun transition, like they say, with change comes growth, right? By being part of the design industry, we get invited to some really cool launch events, I absolutely have to share the last event I attended. 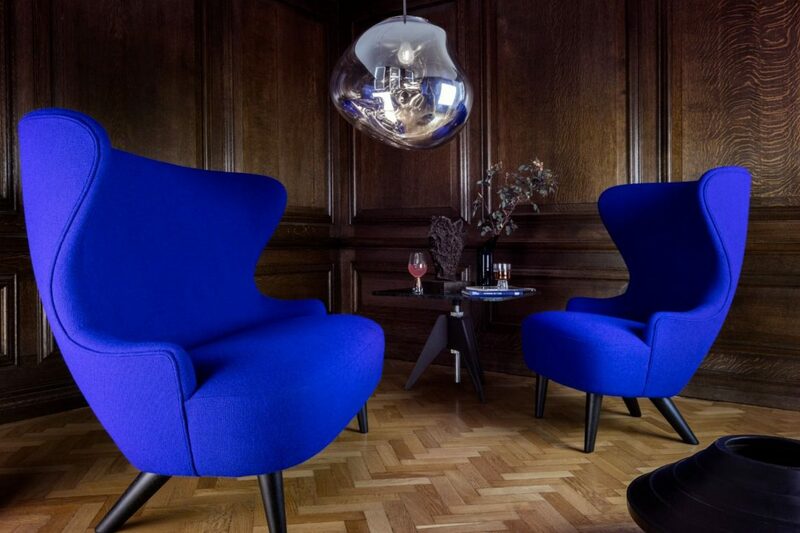 It was the Tom Dixon Launch at Crema Design. Man, oh man, it has probably been the best and most exciting launch I’ve ever attended. 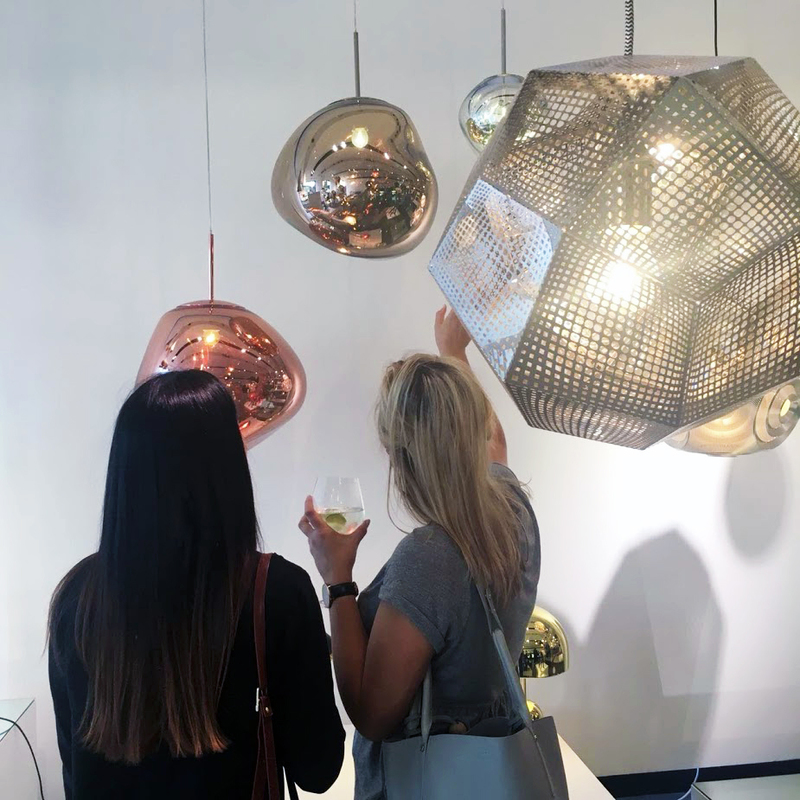 I have always been a fan of the leading lighting designer, so when I heard he would be there to present his latest design, I was both curious and intrigued. It’s not very common for the international designers to attend these launches, so this was quite special. In fact, he skipped the Milan Design Week exhibition this year, which he always takes part in, to visit the cities that inspires and supports him most. Cape Town being number 1, here he was, in the flesh! It’s so cool to see Cape Town get recognised as a design capital among all the design giants out there. Go CT! Eloise (my colleague) and I analyzing the designs as we always do… I find it interesting listening to how different people perceive designs. He took us on a walk down memory lane, explaining how his brand grew from strength to strength and how his love for design and being creative still brings on a certain curiosity and playfulness, similar to how you are as a kid. I must admit I was pleasantly surprised by how easy going and cool he is. I could hear the passion in his voice as he spoke about his recent design experiments. Because that’s what it is in the end, an ongoing journey of experimentation’s, until one day you come up with something that works… and isn’t too appalling to look at either lol! 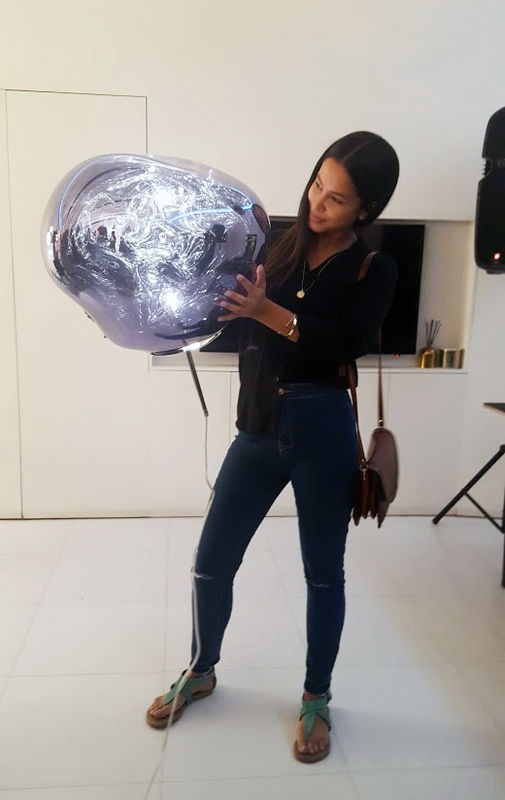 It was the official launch of his latest addition to the Melt collection, the Melt Chrome pendant (available at Crema Design). Because I love to understand the thought process behind anything design, read the short blurb below on what inspired the inception of the Melt pendant range. “Obsessed with the idea of creating an imperfect, organic and naturalistic lighting object, Melt was created in collaboration with FRONT – a Swedish design collective. 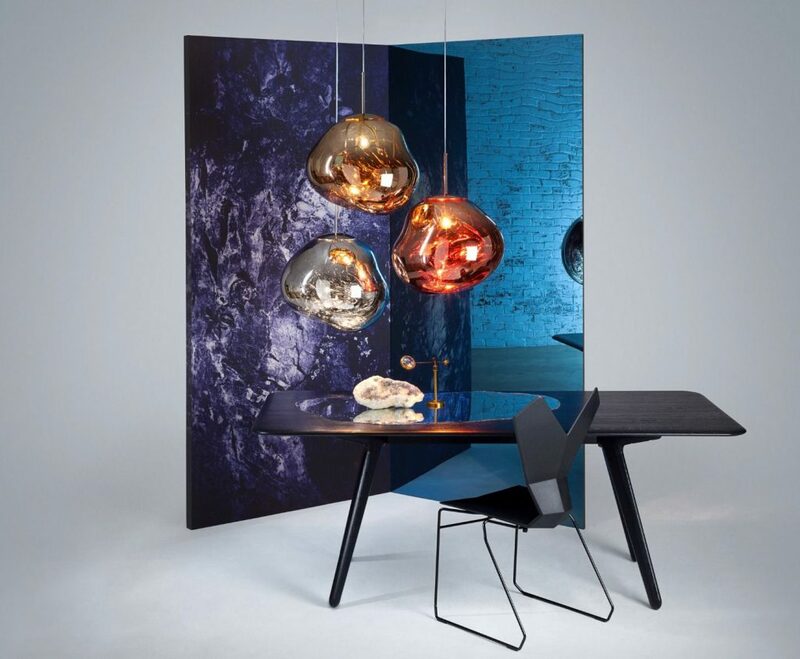 Melt is evocative of molten glass, the interior of a melting glacier, or images of deep space.” Tom Dixon. Just being in the company of such a humbled and down to earth yet very successful international designer got me inspired to set out and create something of my own. After an already eventful evening I managed to leave with a signed copy of his new coffee table book called “Dixionary”, which has found its new home on my bedside table instead, perfect for some good bedtime reading! The book documents his career from the very beginning, when he would create and experiment with materials and techniques in his very own living room, using scrap metal and even used pots and pans donated to him. He speaks about the lessons he’s learnt through trial and error and shows that passion and hard work trumps all! I will leave you with one of my favourite quotes out of his book. “Maybe it all adds up to some kind of philosophy of design, but that’s for others to decide. There might be more recklessness in my method than anything else. With luck, if this book encourages even one dear reader – who might otherwise believe that design is difficult, complicated and specialist. – to stop just thinking about making something, but rather get up, get out and make it, not just because it’s fun but because it’s programmed into the human spirit to create things and experiment, then this might have been a useful book, too.” Tom Dixon. Hopefully this will leave you as inspired as I am to go out and create something! Me, being mesmerised by it’s beauty! 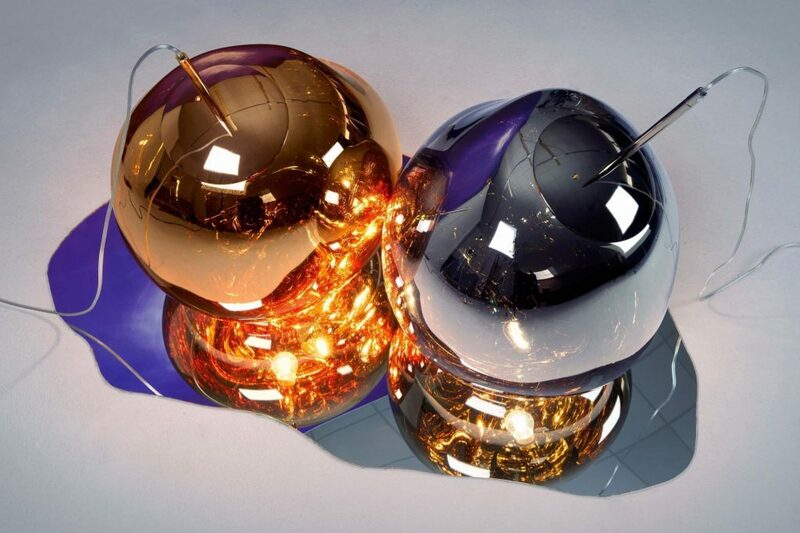 Although this was really hard, I have narrowed my selection down to my Top 3 favourite Tom Dixon Lights. Would have to be the Melt Pendant, when switched off this pendant has a mirrored appearance, but when switched on it mesmerises even the toughest critics. 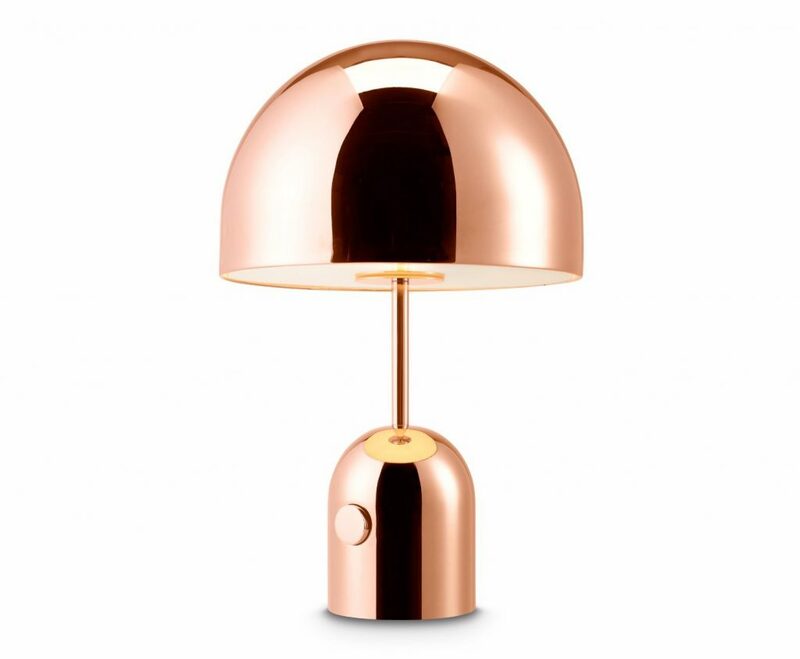 My love of minimalist design comes to play with the Bell Table Light Copper at number 2. I especially like the placement of the switch and how it becomes a feature in the design If copper isn’t your style, it also comes in brass and chrome! 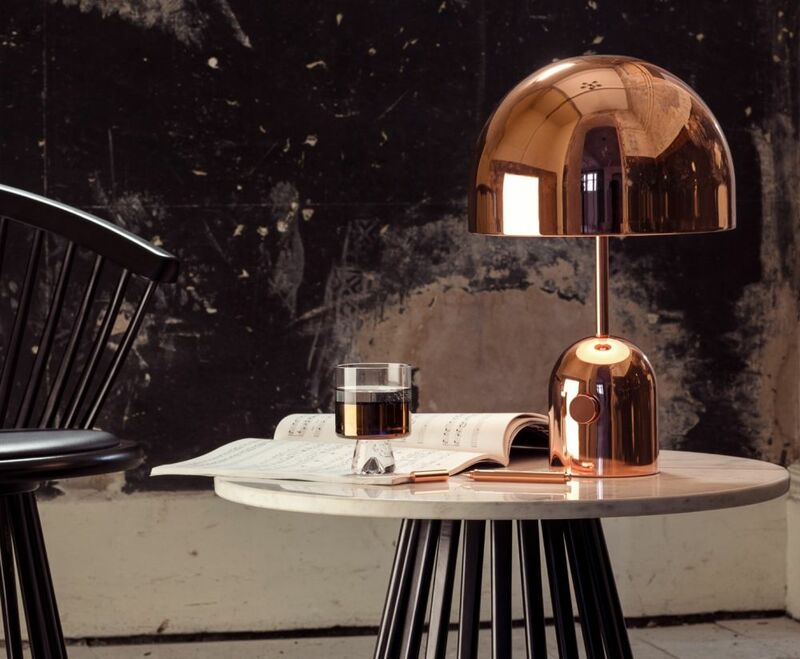 “Bell is an exercise in reductionism, its polished surface reflecting the characteristics and the colours of its surroundings.” Tom Dixon. 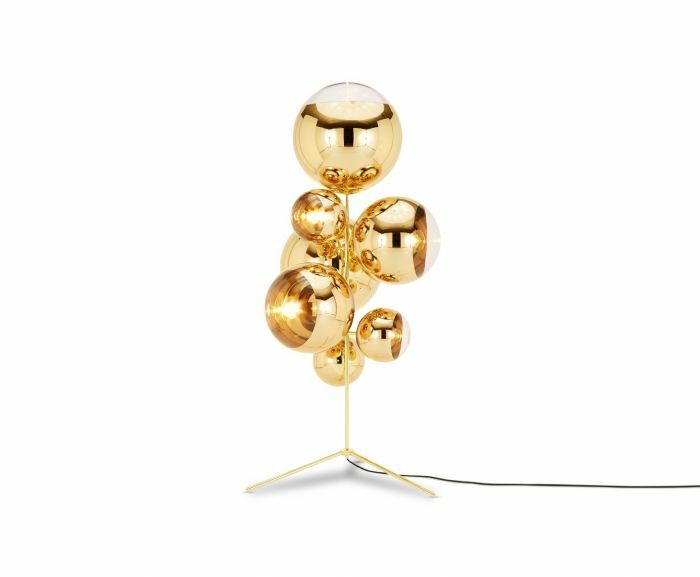 This interesting looking Mirror Ball Chandelier floor lamp really got my attention. 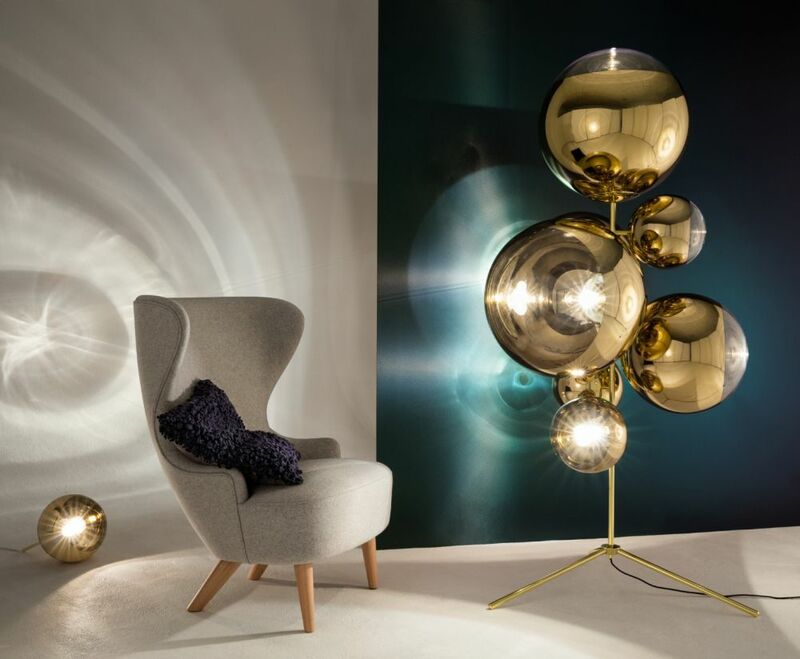 “An ultra-visible, highly reflective object referencing space helmets and disco balls.” Tom Dixon.